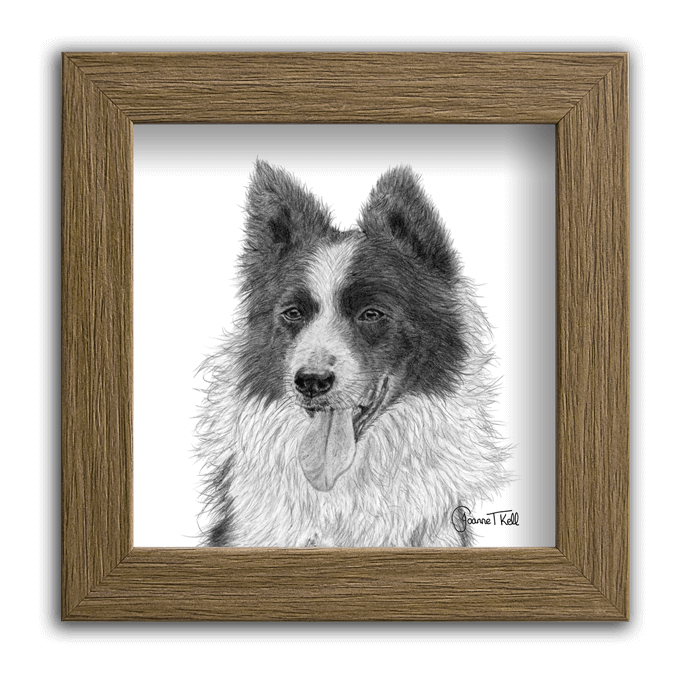 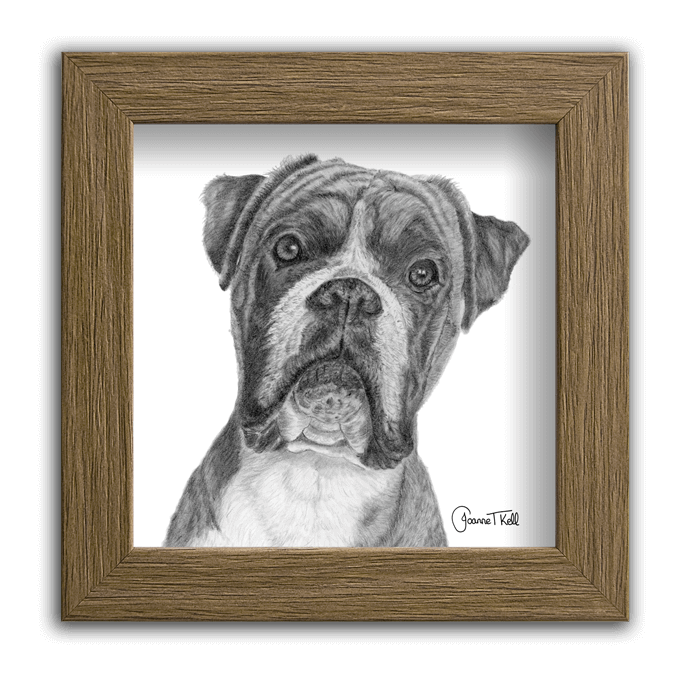 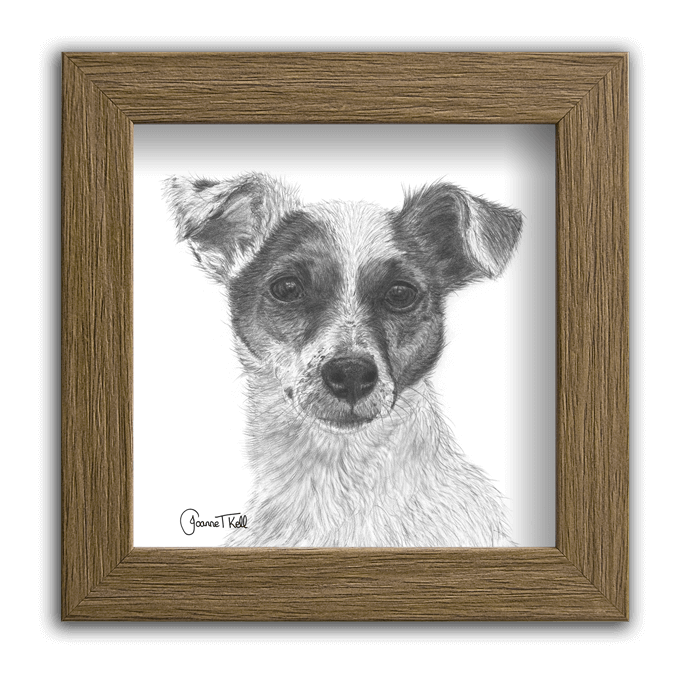 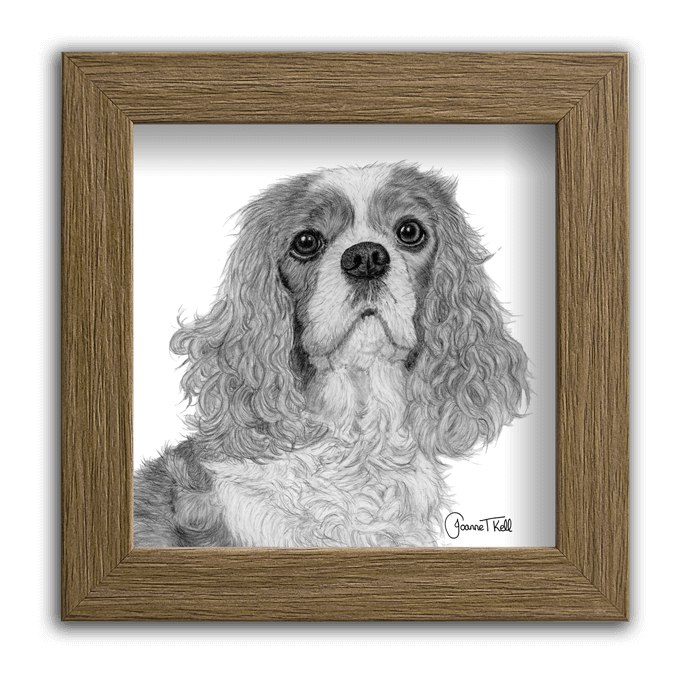 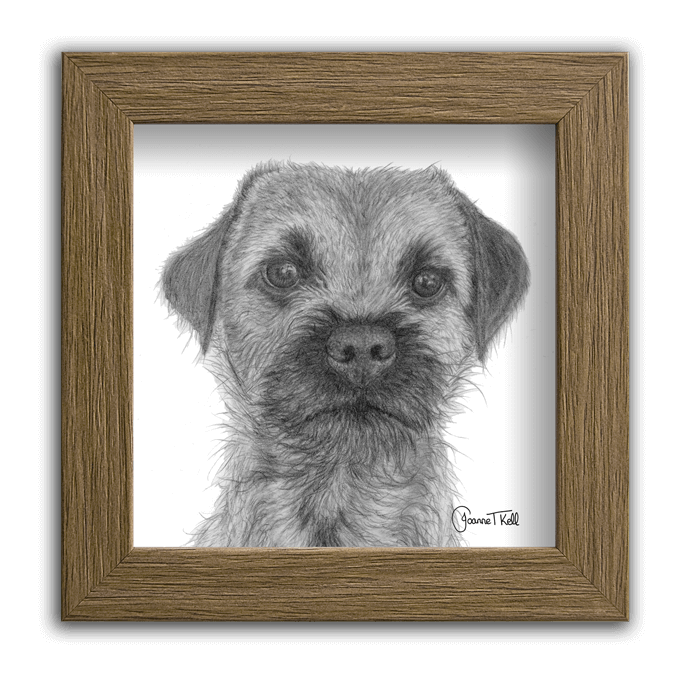 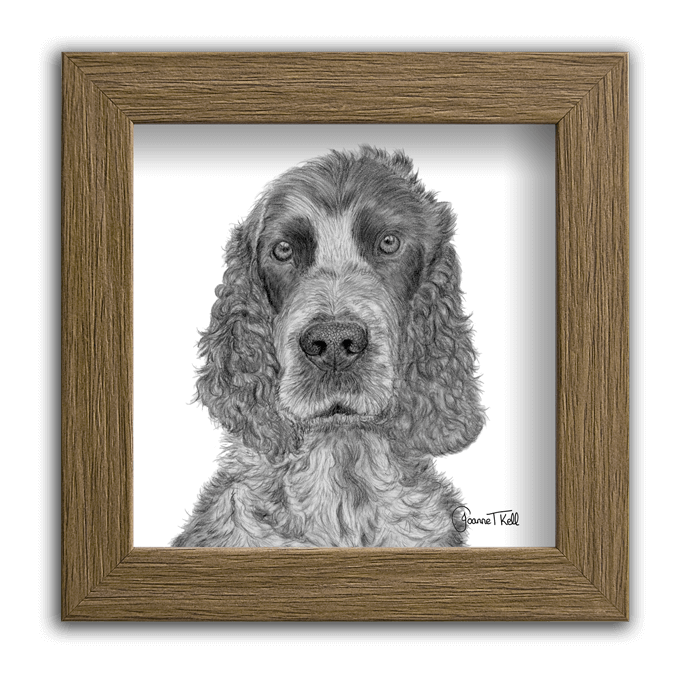 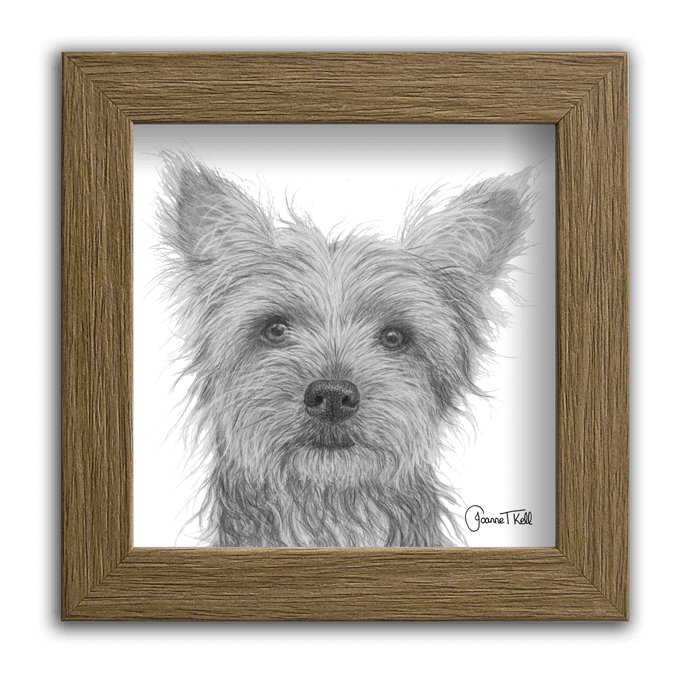 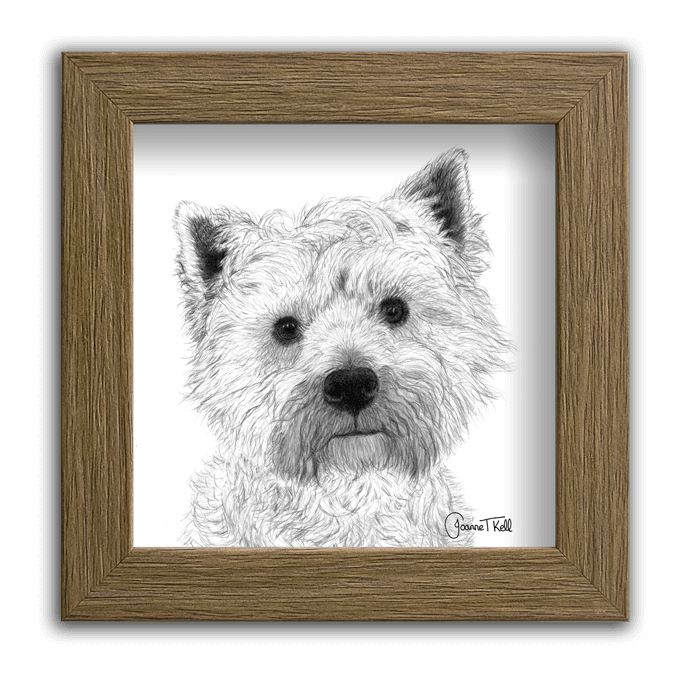 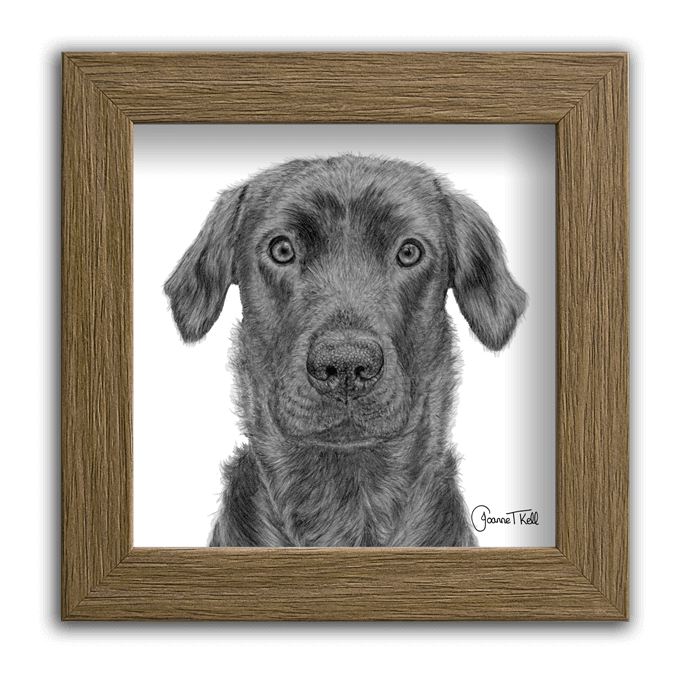 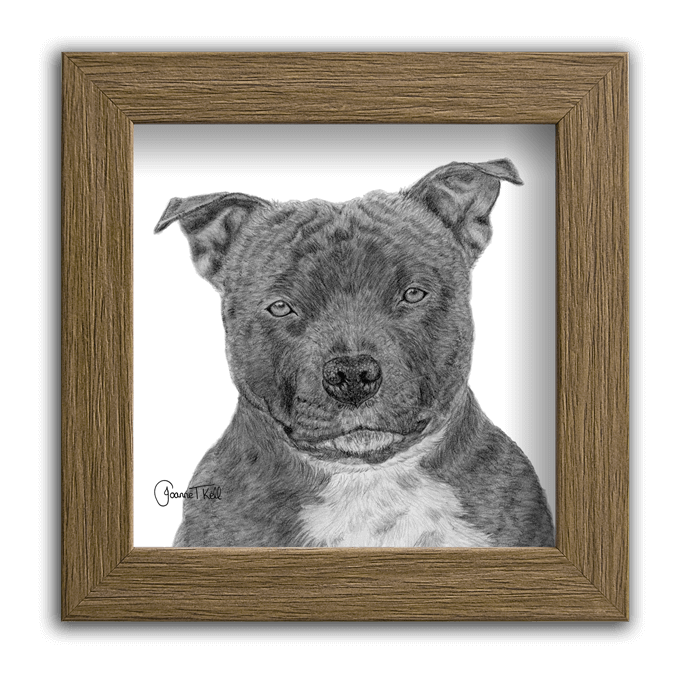 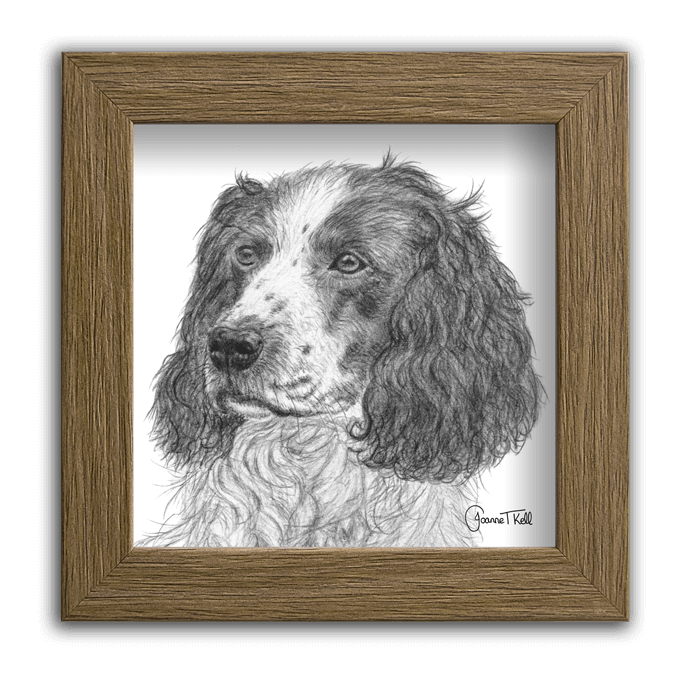 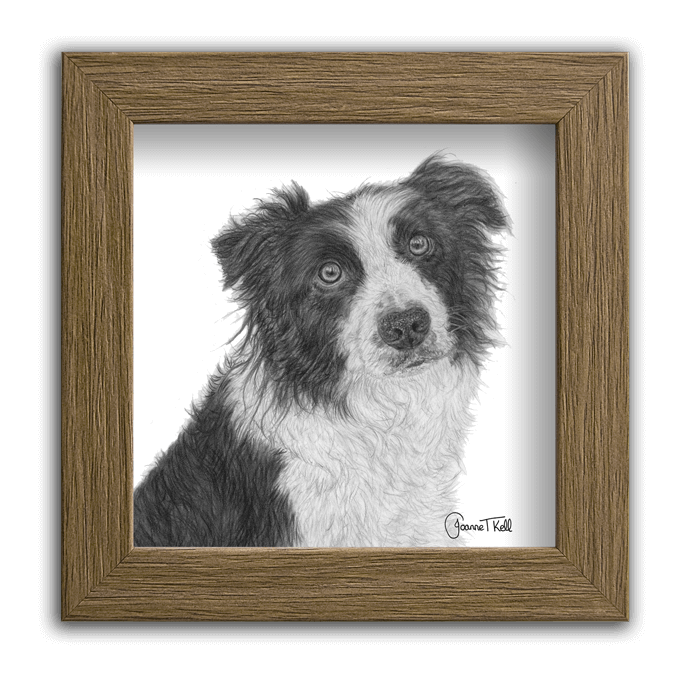 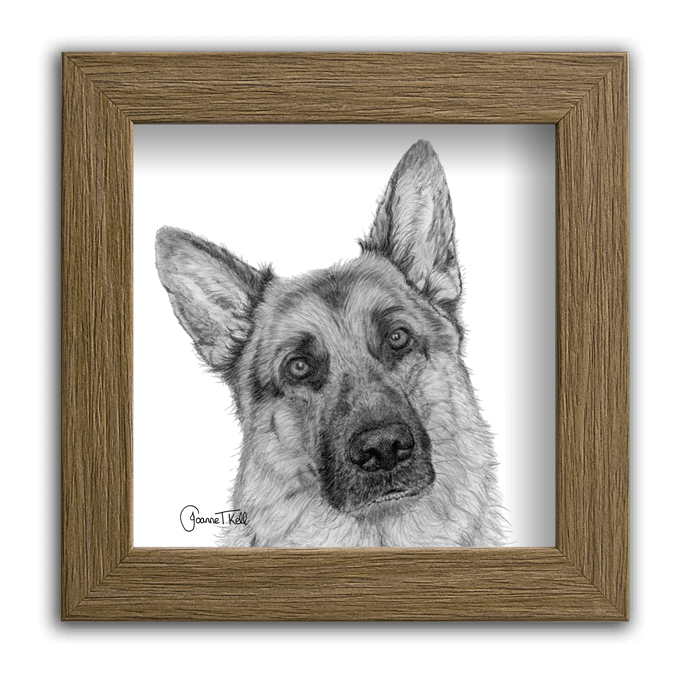 5″ square dog prints available in a deep Polcore moulded frame in an oak finish. 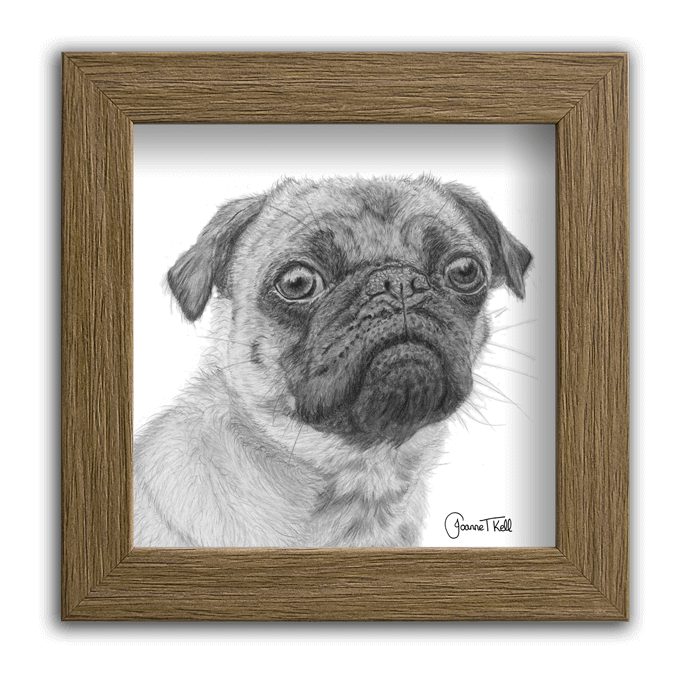 14 popular breeds taken from original pencil drawings. 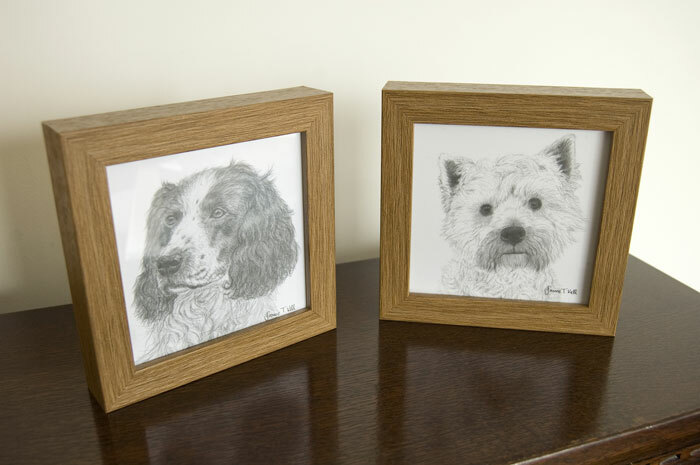 Deep box frames sized 6.25″ square and 1.25″ depth.